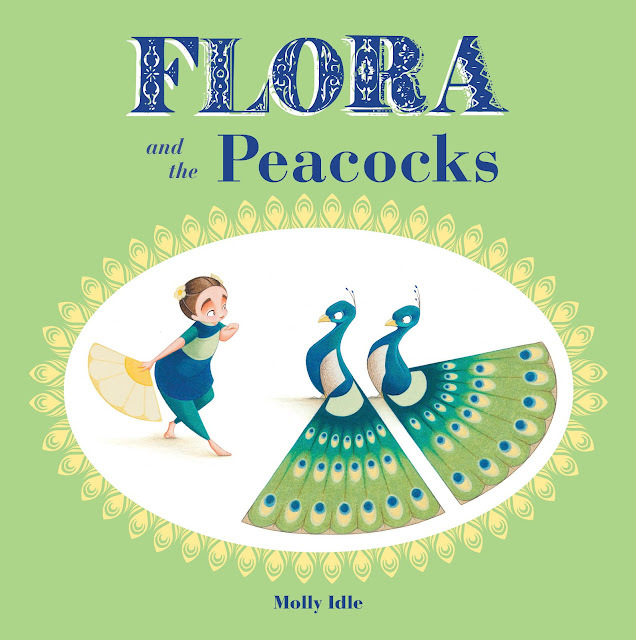 Flora and the Peacocks by Molly Idle | Chronicle Books | Publication Date: May 3, 2016. I originally posted this interview on March 3, 2013. 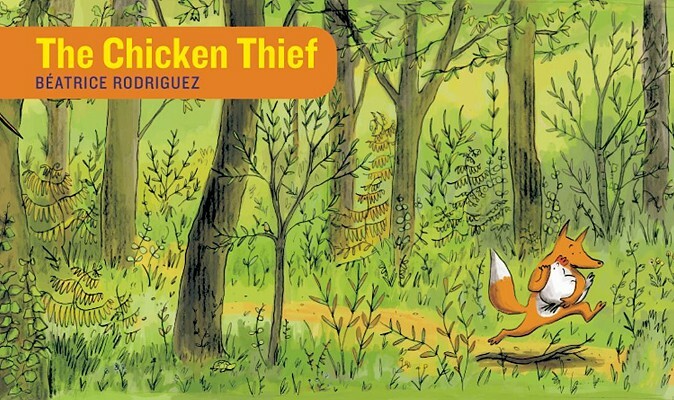 Mr. Schu: Thank you for creating one of the most innovative wordless picture books. 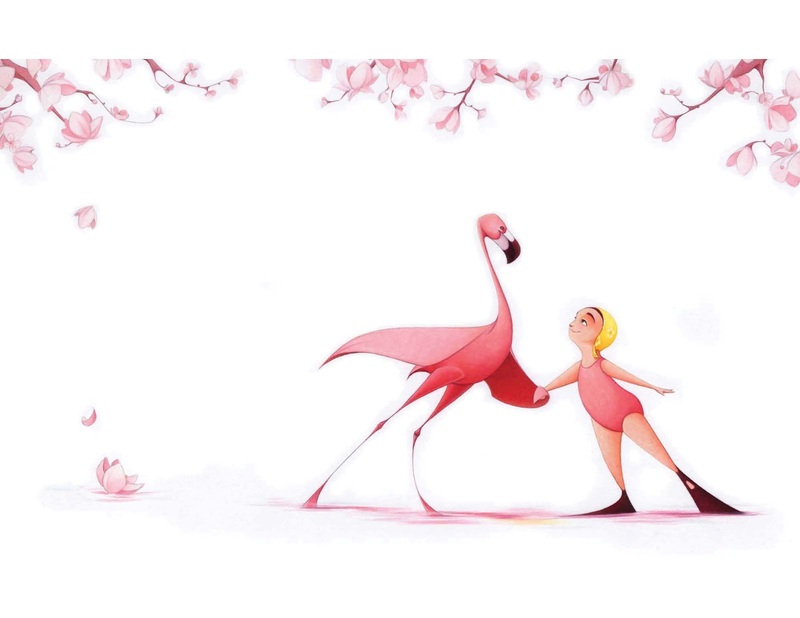 What planted the seed for Flora and the Flamingo? 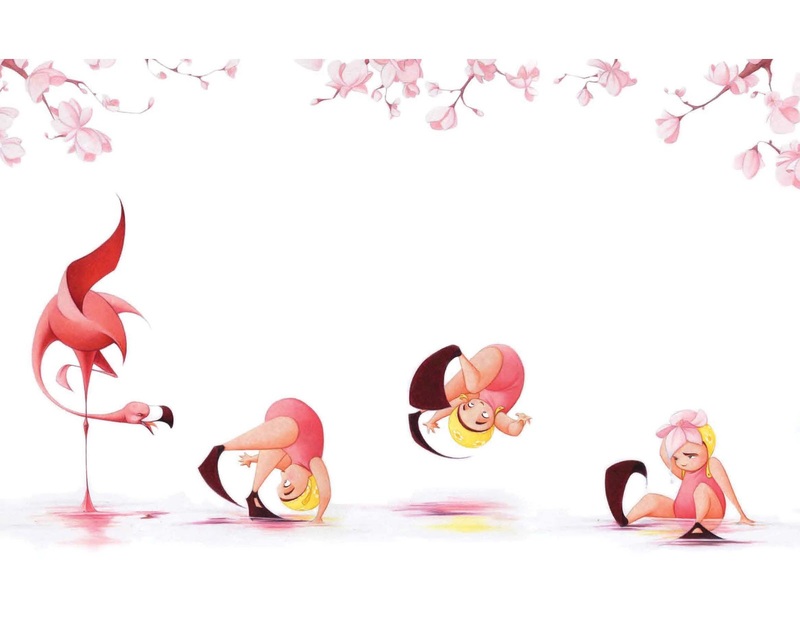 Molly Idle: It was actually a little row of seeds... One small idea after another that cross pollinated and blossomed into what became Flora and the Flamingo. The first seed was the title- which was originally, Flamingo Dancing. At the time, my sons were learning to talk, often with charming and giggle-inducing results. I started thinking about words or phrases that baffled me as a kid. One such was "flamenco dancing"- which I long believed was pronounced "flamingo dancing". I recall being puzzled that there were no flamingos involved. That was the next seed... A flower seed as it turns out... A little girl, drawn as an homage to my darling nieces (whom my sister made wear matching suits and swim-caps every summer when they were little). My amazing art director Amy Achaibou- inspired by the little flowers featured on the swim cap- dubbed her Flora. So, I had my characters and I knew that I wanted to tell a story through dance...But what was the story? Then sprang up the third seed. My oldest son was just starting kindergarten, and trying to figure out the whole process of making friends. It's a tough business to figure out when you're five... Heck, it can be tough to figure out when you're 35! And it occurred to me how much the back and forth nature of give and take in a friendship is like a dance. That's when all of the seeds started to grow together. Mr. Schu: Did you always know Flora and the Flamingo was going to have interactive flaps and gatefolds? Molly Idle: Yes! But my original dummy was for a 16 page book with flaps on every page. I had it laid out so that you could read the story without flipping any flaps, or by just flipping Flora's flaps, or just the Flamingo's flaps, or by flipping each of their flaps in turn... You, the reader, determined entirely how the story and their friendship progressed. When I sat down with Amy (Achaibou), and my editor Julie Romeis, to work out the final layout, we agreed that this interaction was key to the story. But we also agreed that it might be more powerful if we chose to limit the flaps to key moments in the story. 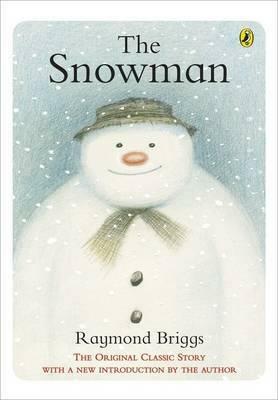 We began by spreading out all of the flaps into individual pages- so it was a straightforward wordless picture book. Then, we started going back in and playing with the placement and pacing of the flaps. Mr. Schu: The music used in the book trailer perfectly matches Flora and Flamingo’s dance. Did you select the music? Molly Idle: I did- it's the Blue Danube Waltz by Strauss. It’s such a happy happenstance that it works on so many levels. It's a classical tune that is accessible and recognizable, even to very young children, (thanks to its use in so many classic Loony Tunes cartoons). And, the little "bum-bum, bum-bum" in the refrain lent itself to the back and forth flip-flap rhythm created when you play with the flaps in FLORA. And then there's the name of piece... Seeing as the entire dance between Flora and the Flamingo takes place in water... a piece of dance music named for a body of water seemed too good a pairing to pass up! Mr. Schu: Are you a dancer? Molly Idle: Ahhh....no. I took lessons in ballet and tap when I was little, but I really only have coordination in my drawing hand... The only dancing I do these days is boogying around the house with my boys. And even then, I look much more like Elaine from Seinfeld (see video below) than a graceful flamingo! Mr. Schu: How does your background in animation influence your work? Molly Idle: Hugely! And not just in my drawing style- though I know that is where the influence is most evident. But it's also in the way I approach the development of a story. I tend to think of each book as a movie- and each spread in the book as a scene. And in the case of FLORA, the flaps are like "key frames", or extreme poses, that guide the timing and action in an animated scene. 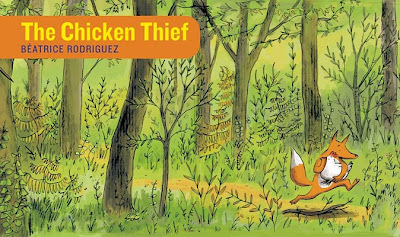 Mr. Schu: Please share three of your favorite wordless picture books. Molly Idle: It's tough to pick just three... But here goes! 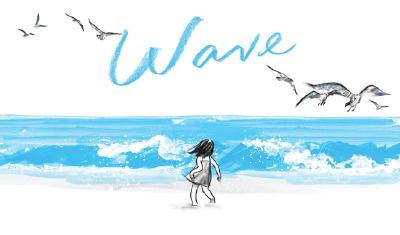 Picture books are windows that open up to reveal a larger world. Reading is the key to everything else. Who is my favorite (non-pink) dancing duo! These two are awesome- their feet are positively flying! But what's more, if you watch their faces closely, there are some looks they exchange with one another that couldn’t have been scripted. Looks that say more eloquently than words ever could, the joy and camaraderie they feel dancing together. That feeling... the absolute joy that comes from loving what you do... Whether it's dancing or drawing... there's nothing like it. Look for Flora and the Peacocks on May 3.